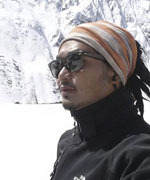 Mr. Chandra Tamang is owner and tour planner of this company. 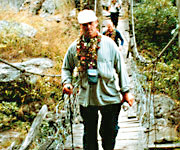 He has leaded many trips all over Nepal, Tibet, Bhutan and India very effectively. He is a founder & back-bone of this company and is always with new ideas. He has more than 30 years of experience in tourism in Nepal, he is running this company with innovative concept, which is providing the foreigners with international level of services all the way through excellent management. He have travel many countries and have a broad knowledge and great communication skills. 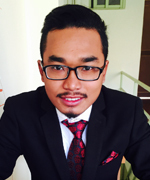 Mr. Purna Tamang is Young, Entusiatic and Friendly Graduate from Kathmandu University with Bachelors degree in Hospitality and Tourism Management, trained by tourism authority of Nepal.He is always willing to provide best ideas and to make people happy ever. He has been involving in this sector for more than 3 years. To achieve life – long ambition of the clients, he has always been helping the company with innovative ideas and management skills. 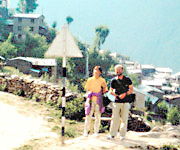 He is one of the highly qualified as well as sincere Trekking guide of the company. 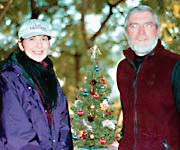 Basically, he handles exclusive trekking / tours in outdoor, as sideline. He has been involving in this sector for more than 8 years. To achieve life – long ambition of the clients, he has always been the proficient company for them during their traveling time. Having gained wide-ranging training and licensed guide from Ministry of Tourism of Nepal, he has been working effectively under the company. 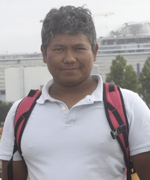 He is fluent in English spoken, not only that he has also good communication skill in French language as well. Mr. lama is serving under this company since for 7 years. He takes his any task with better care and enthusiansm. He is very old hand for this profession and still serving under the company as trekking guide and delivering his good work always. There is no hesitation in saying he can provide good guidance every moment all through traveling. 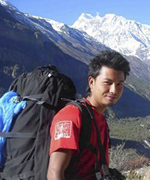 Mr. Kami is young and dynamic having sound experience in trekking & tour sector. He is fluent in English spoken, not only that he has also good communication skill in French language as well. 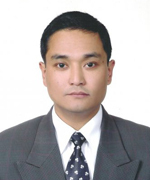 He has more than 14 years of experienced in the Travel & Tourism Sector. Listed below are our overseas business associates, carefully chosen to provide information on our services. You may contactus or one of our associates, which ever is more convenient.